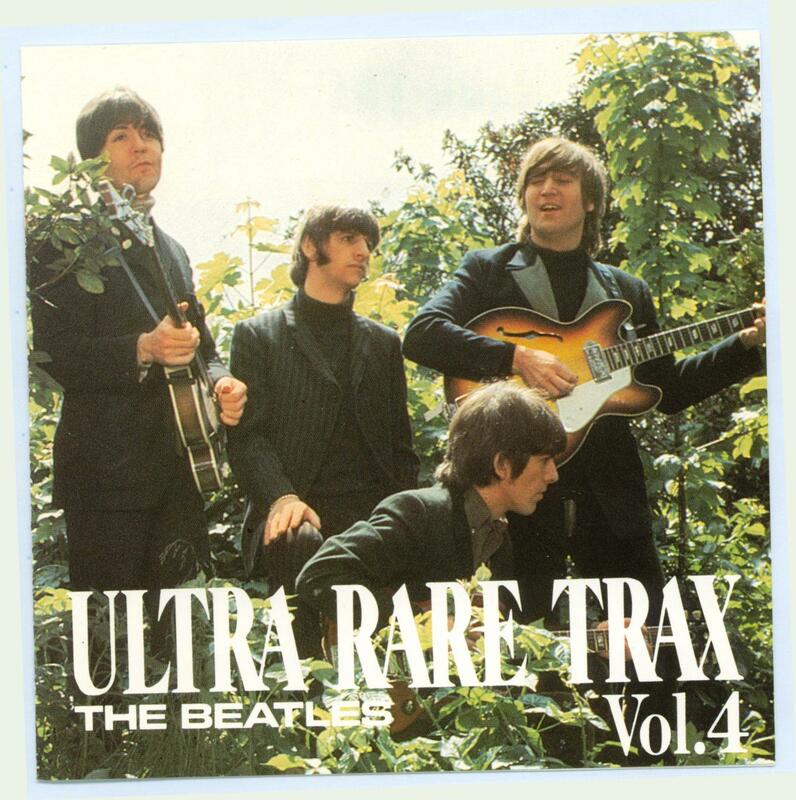 2) A Taste of Honey - Recorded on February 11, 1963 during the "Please, Please Me" sessions. Paul McCartney on lead vocals. Different mix and vocal tracks to the previously released version. 3) I Feel Fine (Take 7) - Recorded in October 1964. This is the rough mix version with no echo effects and no fade-out at the end. 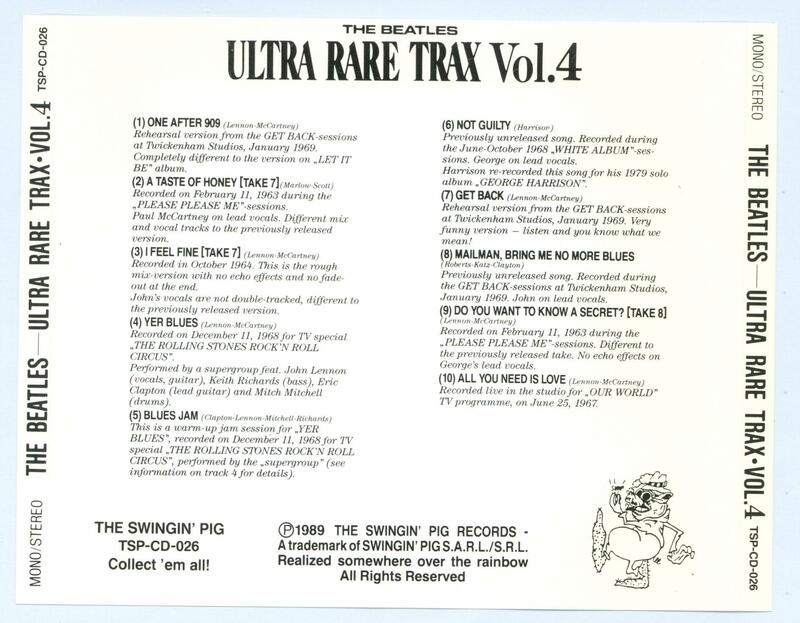 John's vocals are not double-tracked, different to the previously released version. 4) Yer Blues - Recorded on December 11, 1968 for the TV Special "Rolling Stones Rock and Roll Circus". Performed by a supergroup featuring John Lennon, Keith Richards, Eric Clapton, and Mitch Mitchell. 5) Blues Jam - This is a warm up jam session for "Yer Blues", recorded on December 11, 1968. 6) Not Guilty - Previously unreleased song. Recorded during the June-October 1968 "White Album" sessions. George on lead vocals. Harrison re-recorded this song for his 1979 solo album. 7) Get Back - Rehearsal version from the "Get Back" sessions at Twickenham Studios, January 1969. Very funny version - listen and you will know what we mean! 8) Mailman, Bring Me No More Blues - Previously unreleased song. Recorded at the Twickenham "Get Back" sessions, January 1969. John on lead vocals. 9) Do You Want to Know a Secret? 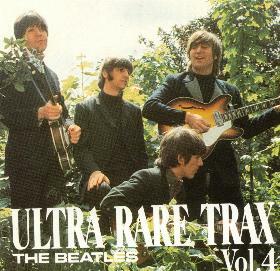 (Take 8) - Recorded on February 11, 1963 during the "Please, Plese Me" sessions. Different to the previously released take. No echo effects on George's lead vocals.